I had heard so much about this book and yet had not been able to get my hands on it. Therefore, it was the first book I sought and read last year. Das, a brilliant businessman and a gifted writer, recounts India journey from its independence from British colonial masters in 1947 to independence from its internal elite masters in 1991 and its transformation from an impoverished centrally planned economy into a wildly growing vibrant free-market economy. Das has done a remarkable job of explaining how Nehru's socialist dreams and his daughter's actions ended up choking every entrepreneurial urges in India, what a businessman's life was like during the "license-permit raaj" and how the reforms of 1990s were initiated and what they have achieved so far. 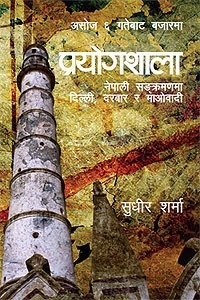 If only, half of the Nepalese who spend time blaming India for Nepal's woes read this book and learned about India own struggles, I guess Nepal would have been a different place. This book kinda challenges what you have learned about competition and strategies so far. The book discusses about a new strategy, 'Blue Ocean Strategy' which is in contrast to prevailing Red Ocean Strategy where competitors have turned the ocean red with each other's blood. In Blue Ocean Strategy, you disregard the prevailing assumption about your sector and industry and try to create an entirely new market for your products or services. If implemented properly Blue Ocean Strategy would turn the competition completely irrelevant. The book has included a few examples of what blue ocean strategy is like in practice and you can Google for more case studies. All of the case studies are very very interesting. I did have several aha moments. This is a must read book for any aspiring entrepreneur! The book is aptly titled a personal journey. 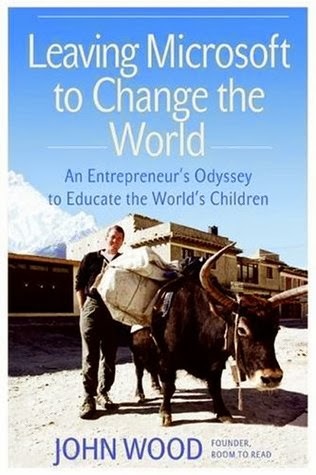 It describes the personal journey of James Tooley who accidentally discovers low-cost private schools in the slums of India catering to the children of poor parents. He finds out that parents despite being literate and poor, take a lot of care while choosing schools for their children and hence, opt for low-cost private schools with low resource than for the free education provided by resource rich state run schools. He also finds out that students from these low-cost private schools generally perform better than their counterparts in state-run and INGO funded schools mainly because the school administration and teachers are more accountable in these private schools. The trend, however, is not endemic to India. Tooley travels across Africa in search of such schools and finds them. But what about China?, he wonders. Does China have such low-cost private schools too? You need to read the book to find out the answer. In 1998, John Wood, an executive at Microsoft was trekking in Nepal to enjoy his vacation and relieve the stress from work. Apparently, a friend of his had told him, "If you get high enough in the mountains, you can't hear Steve Ballmer yelling at you anymore." His guide took him to a small school in Bahundanda whose headmaster told him that he hoped John would be different than other visitors and fulfill his promise of coming back next time with books. What happened from that point onward is history. John left his job at Microsoft and founded Room to Read which has provided millions of books and built thousands of libraries for schools in developing countries in Asia and Africa. The organization has also built many schools and provides scholarships to female students. This is a heart-warming tale of how a passionate individual could make the world a better place. 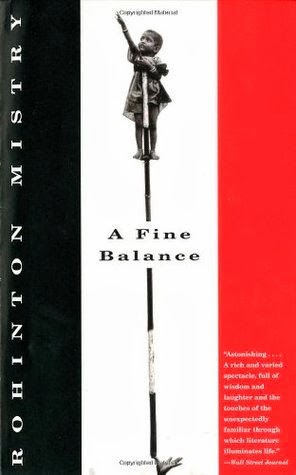 One of my most favorite novels tills date, A Fine Balance is a poignant story of a strong-willed widow, two tailors trying to escape caste violence and a boy who has been displaced from his naturally beautiful village. Living in the 1970s under the authoritarian atrocious rule of Indira Gandhi, their lives get inter-tangled when they are forced to share a flat. The novel is grim, very grim in fact. There are moments of joy, moments of hope for sure. But in overall, the book does not shy away from presenting grim realities of the then society and life in general and more than that the book does not spare its characters from vicious tricks of fate and life. But rest assured, the grim fiction presented by the novel is more closer on the reality's side than on fiction's and long after you finish the book you will be haunted by its characters. 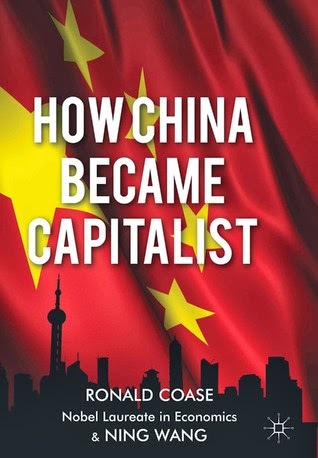 The world has come to believe that China's economic reforms were thought of, carefully planned and flawlessly executed by the Communist Party of China under the wisdom of Deng Xiao Peng. China is one exceptional story of a top down reform. It is an example of an enlightened leadership and how it can transform a nation. Well, Coase and Wang beg to differ. They have shown in this book, how those reforms were inspired by ground level coping strategies of ordinary people. For example, household responsibility system that displaced communal farming was first practiced by villagers of Nine Dragon Hills. Interestingly, it happens to be the most desperate of suffering Chinese people who came up with these ideas. Deng, though definitely deserves credit for learning from the grass root level and giving legitimacy to those reforms and replicating them across the country. A must read book!! Twenty-nine year old Conor Grennan left his job to travel around the globe and have an adventure. He chose Nepal as his first destination. Why? Because he wanted to boast to his friends that he came back from a war zone and sound heroic. He had believed the war in Nepal "was reported by US media in the same way they usually report any news: with exaggeration". He landed in Nepal to find out that the war was for real and had a gun pointed at him as soon as he passed the airport's gate. He wanted to recount his steps back from just there but could not. So he decided to volunteer at a children's home at Godavari. His life was never the same again! 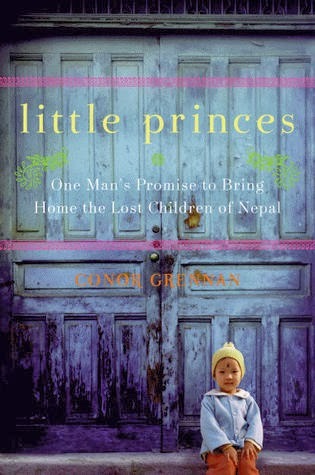 The book is hilarious at times and saddening at times but Grennan manages to keep the readers intrigued until the end and tells us an aspect of Nepalese Civil War which I think very few Urban Nepalese know. The central thesis of this book is that it is almost impossible to succeed without failing first. Trail and error is the primary way people discover new things, improve and innovate what they have. He starts with the example of a toaster. Toaster, a thing many people take for granted but if one delves deep down into the history of making a modern toaster, he/she can find the path littered with failures, one after another. But one person learned from another one's failure and built upon the success which was then used by another person to make things a bit better and so on. 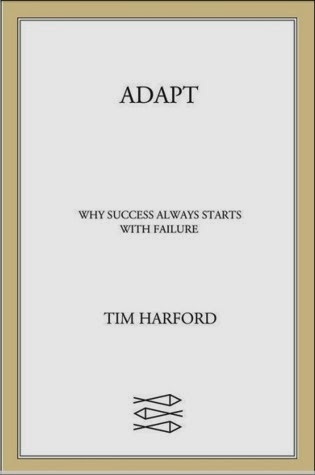 A lesson the reader can draw from Adapt is never fear the failure. However, for me the book explained in an interesting way the market process, ie. how market process crowds out failures and builds on successes of each other. A great book all the way though! Warning: The author repeats the thesis, a little too many times for some reader's taste. Father of modern economics and one of the major proponents of Capitalism, Adam Smith, how was he as a person? Was he a greedy profit-monger? Or an absent-minded lovable professor who was interested in moral issues as much as economics? Father of Scientific Socialism, Karl Marx. What kind of a person was he? A responsible father and husband? Or a womanizer and drunkard? Who was Veblen? How did he come up with the idea of institutional economics? Why had Malthus such a grim outlook at the future of the world? What economic ideas did David Ricardo develop? Had his profession anything to do with those ideas? These are the kind of questions you will find answered while reading this book. 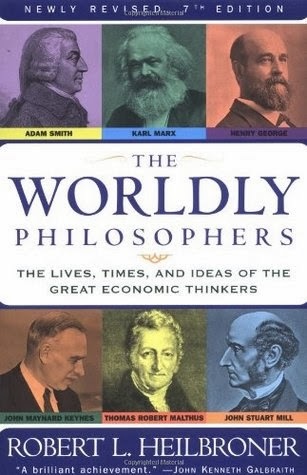 This is a very very interesting book that traces down the evolution of various economic thoughts along with the lives of their originators. 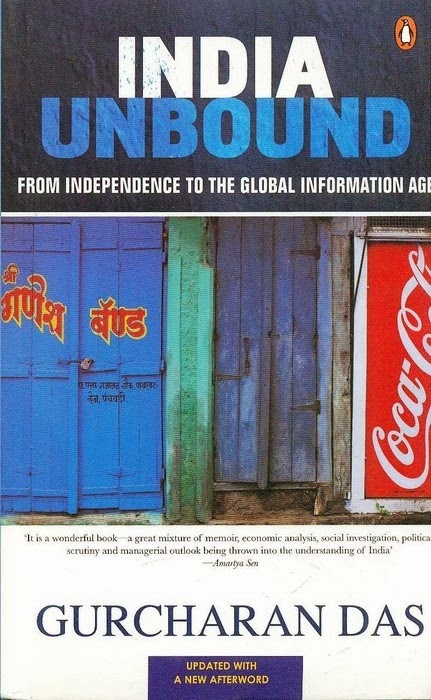 A must read book for anyone interested in economics! Whether you are a guy or a girl, you must have already worn and thrown lots of t-shirts by now. But do you know where and how your t-shirts are made? Or have you ever wondered about this? China. You must have said. It is ,in a way, true. Almost everything is made in China these days.But wait, there is more to it. 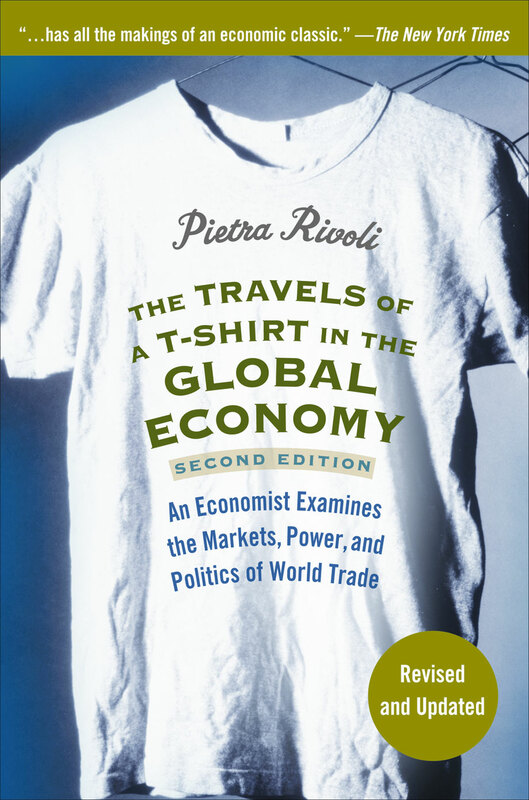 Kudos to the globalization, a thing as simple as a t-shirt which we take for granted, travels halfway through the world before it comes into being. It's travel is not only complicated but very interesting and insightful as well.Most probably, the cotton of your t-shirt was grown in Lubbock county, USA. Then, it was shipped to China where young Chinese girls gave it the shape of a t-shirt and then it traveled all over the world. I have written a long post about this book here. I had got this book as a gift from a friend more than 11 years ago. It is among the few books that have lasted for so long with me. This is one of the most ubiquitous books you will find while walking around Thamel or any other tourist area in Nepal. But let not its ubiquity fool you. It is definitely a very very good book. 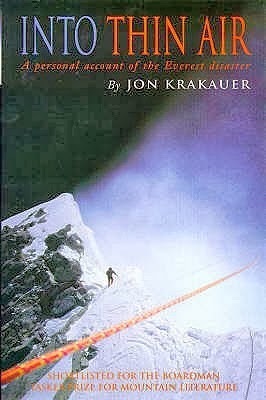 This personal account of renowned journalist Krakauer of climbing the Everest on the fateful day of May 10, 1996 brings the reader extremely close to the experience of tedious and perilous journey of submitting Mount Everest, perhaps too close. I felt horrified by his experience and it made me rethink my desire to climb Everest someday. Anyone who holds fascination towards Himalayas, especially the Mount Everest should read this book. It will increase their respect towards the supremo of the Himalayas. If I had to choose one book out of all the books I read in 2013, this would be the one. 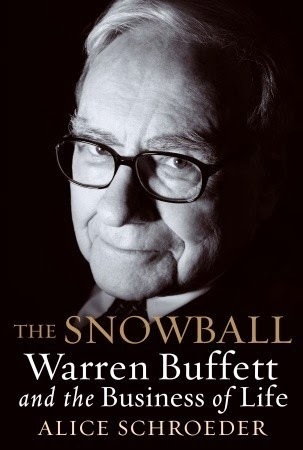 It recounts in detail the life and times of Warren Buffett, the legendary investor who is among the richest people in the world.The book describes how Warren built his fortune like a snowball, bit after bit. Warren Buffett, rarely grants long interviews to journalists, but he seems to have divulged enough information to Shroeder in this one. The book talks about Buffet's parents (His dad was a libertarian leaning Republican and very principled) and their influence on him, his childhood ventures, love-life and the building of the Hathaway empire. The book also examines Buffett's relationship with his wife Susan Thompson, who seems to have been the single most important person in his life. As mentioned early in the book, Buffet had asked Shroeder to use the less flattering version of events whenever there were multiple versions of an event in his life. The less flattering version of Buffett is no less impressive. Reading this book, one only gets a glimpse at Buffett's life but also gains numerous valuable lessons to be a successful investor. While rest of the world is racing through prosperous times, a few dozens of countries which are home to about 1 billion of the poorest people on Earth seem to be stuck in a vicious circle of poverty and misery. 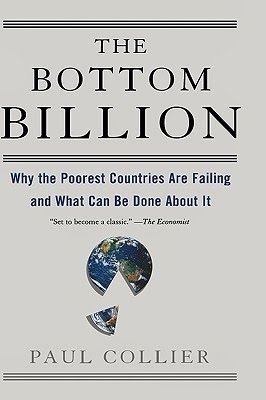 Paul Collier dedicates this book for that billion people's upliftment from poverty. He has called them the bottom billion and suggested practical measures from both left (government intervention, foreign aid) and right (freeing markets, enterprise development) of the political spectrum for these people's development. He has backed his arguments and suggestions with numerous empirical studies. The book is concise and easy to read and there are very few places one could disagree with Collier. But by the read of the book, if you are like me, you might create a long list of books to read further. Maoists insurgency (1996-2006) was Nepal's biggest internal challenge since the formation of the state around 250 years ago. The insurgency was born within the mountains and hills of Nepal but the way it grew into a national crisis and became a sort of milestone in the history of Nepali politics, it could not have been possible without the support of internal and external power centers. Sudheer Sharma, the editor of Nepal's leading daily Kantipur, traces the events that led to the initiation of the insurgency and the role played by Nepalese Royal Palace (King) and New Delhi (Indian Government) in fueling the insurgency. The author brilliantly explains how Maoists were able to use the animosity and competition between the Palace and New Delhi and Palace and the seven Political Parties to their advantage. However, despite their shrewdness Maoist also ended up being used by those forces at times. A must read book for someone with interest in Nepali politics. 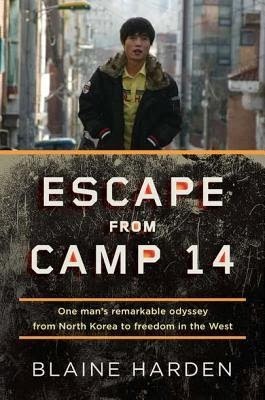 Escape from Camp 14 is the story of Shin Dong-hyuk which is so far the only person who was born inside a political prison camp in North Korea and successfully escaped from the country. The life outside the camp seem much better compared to what goes on inside camp. People are killed for anything and everything. Every person is set against each other and there is no shred of trust, mutual cooperation or love among them. The only prevailing emotion is that of instinct for survival. Shin spied against his own mother and brother who were then executed in front of his eyes. He says he felt no guilt at the time because he had not learnt what guilt meant. He only knew what he needed to do to survive. While working in a stitching factory one day though, Shin encountered a man who told him that in the outside world, a person could eat barbecued meat as much as one wanted! What more reason did Shin need to attempt an escape? 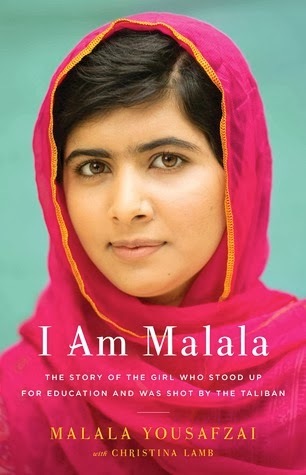 When I heard Malala Yousafzai has written a memoir already, I was a bit skeptic. She got shot for her activism, what could she have written in the memoir, I had wondered. Then I saw that this book was voted one of the best books of 2013 in GoodReads.com . I started reading the book. Within a few pages, I was immersed in her life, her Swat valley and her society. She brilliantly explains the turn of events in Swat valley through a teenager's eyes. Hers story is one of those few brave people who dare to stand up against savages like Talibaan without fear of death and with their deeds inspire millions of other people to do the same. 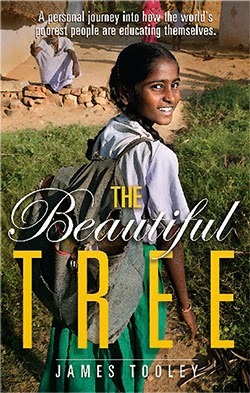 And by the way, guess what Malala used to study in a school similar to the ones described in The Beautiful Tree. Established by her father, the school is a low-cost private school that dared to take in girls as students. 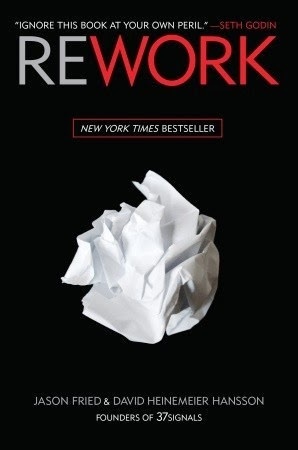 A short book with very short chapters, Rework is immense with regards to the lessons it offers. Written by co-founders of 37signals, a very successful web-application company, the book offers very unconventional advice to the readers like don't wait for the business plan. In fact, don't even have a business plan. Find a customer first. Don't grow. If you can achieve success without turning the company into a behemoth, why aspire to grow it? Don't always do what customers want. Don't be a whore to the customers. Stick to what you do best and let your customers grow instead and let them go to others for their new needs. Many of those suggestions are not new but are timeless and the way they are presented makes the reader rethink about them. Well, those are the 17 good books I read in 2013. What books did you read in 2013, Please share in the comments below. Also let me know if there are any books you think I should go through in 2014. Thank you for reading!